The stock has gained 17.13% since October 26 when the private sector lender announced its Q2 earnings. The stock has gained 17.10% during the last one year and risen 17.68% since the beginning of this year. The ICICI Bank stock hit a fresh 52-week high level in trade today on the back of Q2 earnings which were announced on October 26. The stock hit a fresh yearly high of 374.75, a rise of 2.22% from the previous close of 366.60 on the BSE. It closed 0.82% higher at 369.60 on the BSE. The large cap stock has been gaining for the last three days and has risen 4.88% during the period. The stock has gained 17.10% during the last one year and risen 17.68% since the beginning of this year. The stock has closed above its 50-day and 200-day moving average of 327.79 and 307.58. 43 of 45 brokerages rate the stock "buy" or "outperform", one "hold" and one "underperform", according to analysts' recommendations tracked by Reuters. The stock has gained 17.13% since October 26 when the private sector lender announced its Q2 earnings. The bank announced earnings which came above expectations. In the first results under a new leadership, the second-largest private sector lender posted a 55.84 per cent decline in net profit to Rs 908.88 crore on a standalone basis as compared to last year. However, net profit rose 860% in Q2 compared to Rs 120-crore loss in Q1. The bank, one of the most affected among the private sector ones in asset quality, saw a rise in the gross non- performing assets ratio to 8.54 per cent of assets against 7.87 per cent last year, but was lower than the quarter ago's 8.81 per cent. Its overall provisions reduced to Rs 3,994.29 crore from the Rs 4,502.93 crore in the year-ago period, while the provision coverage ratio improved by over 4.80 percentage points to 58.9 per cent. The bank said it has a provision of Rs 9,300.82 crore against an exposure of Rs 13,249.46 crore to the list of 40 NPA accounts mandated to be resolved by RBI under the bankruptcy framework. The loan growth was led by a 20 per cent rise in retail loans, it said in the statement, adding that the advances to the resilient segment constitute 57 per cent of the book. The deposit growth came in at 12 per cent, while the share of the low cost current and savings account stood at 50.8 per cent as of September 30. Its capital adequacy stood at 17.84 per cent with the core tier-I at 15.38 per cent. The lender's core net interest income rose 12.4 per cent to Rs 6,418 crore to an eight-quarter high credit growth of 15.7 per cent and a 0.10 per cent expansion in the net interest margin at 3.33 per cent on a blended basis. The non-interest income rose by a tepid 6.6 per cent to Rs 3,191 crore largely on softness in dividend income from subsidiaries. Brokerages cheered the lender's second quarter earnings, which came above estimates. 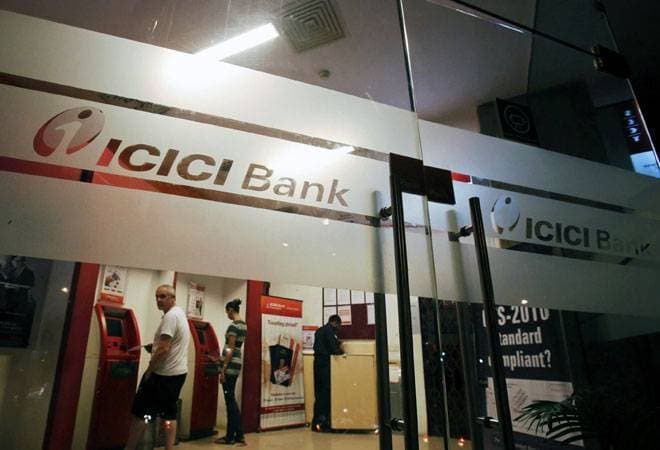 Motilal Oswal in a report said, "ICICI reported 2QFY19 PAT of Rs 910 crore (ahead of our estimate), led by improving margins and steady loan growth. Asset quality improved as fresh slippages subsided to Rs 3,120 crore - the bank also guided for a significant decline in non performing loans formation over FY19. NII increased 12% YoY to Rs 6418 crore (5% beat), as the margins improved 14 bps QoQ to 3.33%, while funding cost held stable. Core fee income grew 17% YoY We revise our FY19/20 earnings by (1.7%)/4.8%, and estimate ICICI to deliver 1.2% return on assets by FY20. Reiterate buy with an SOTP-based target price of Rs 400 (1.8 times September -20 estimated adjusted book value). "With a declining trend in fresh slippages after several quarters, we believe that the peak of NPA recognition cycle is over now. Incremental additions to NPAs are expected to stay significantly lower than the previous years," Emkay Global said in a 26 October report. "Improving rating profile and declining stress book provide comfort on asset quality. Further resolutions in NCLT cases can provide additional surprises," HDFC Securities said in a 27 October note.